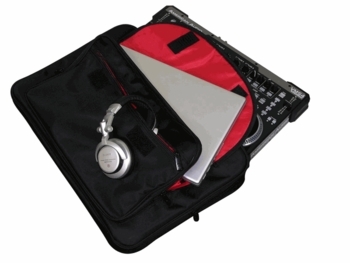 Odyssey BRLDIGITALXL Redline Large Digital Media Controller/Miser/Player Bag DJParts - All Variety of Parts that DJ Needs. Odyssey presents the Redline Series, cutting edge bags for today's on the go DJ / Remixer / Producer. Each design not only makes you look good, they make you feel good. The Redline Digital XL bag lets you take a wide variety of your essential gear for your digital set up from one gig to the next. 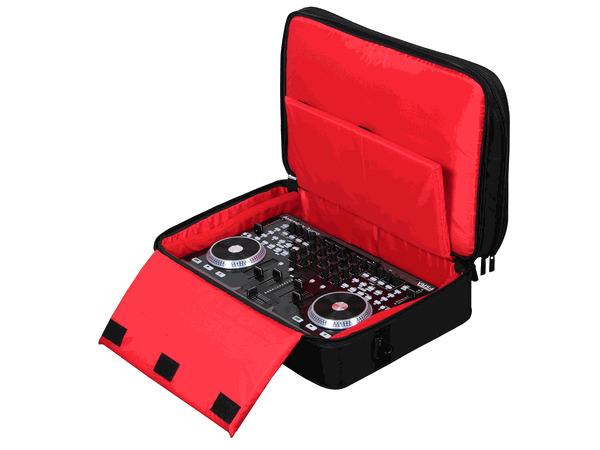 Within the main compartment are unique foam inserts that can be easily reconfigured or removed so you can safely store whatever your gig at the time demands such as mixers and large format tabletop media players, or digital controller such as the Numark IDJ3, Traktor Kontrol S4, or American Audio VMS4. It has enough pockets to store all your necessities and is fully padded in all the right places with a steel frame reinforcement for the ultimate in digital gear protection. Features and specs: • Reinforced Steel Frame Prevents Vertical Crushing and Sagging • Fully Padded for Gear Protection • Adjustable Foam Inserts To Customize Main Compartment to Your Gear • Additional Padded Carry Bag Included • Heavy-Duty Zippers and Zipper Pulls • Convenient Elastic Band Cable Holders • Pull-up Handle Sling • Sturdy Bottom Feet Increases Vertical Stability • Padded Handle and Shoulder Strap for Extra Comfort • Main Compartment Interior Dimensions:21.5" x 3.5" x 14.25"